When most of us are planning a trip, we don't automatically think of all the things that can go wrong. Whether you're traveling to Mexico, to Italy or to China, don't forget about the importance of travel insurance. One of the most important, yet least thought about aspects of travel insurance is medical evacuation. How can this help mom when she's traveling? In more ways than you can imagine. Evacuation insurance is available with a wide variety of travel medical insurance and accident insurance companies that specialize in international travel. Some are designed for certain age groups. For example those who are under 74 years of age, and those who are older, and even up to 84 years of age. Choices for medical plans, limits and deductibles are nearly endless. Most international travel medical plans also cover preexisting conditions for medical services as well as medical evacuation. What exactly, is medical evacuation? Medical evacuation insurance coverage helps pay for and includes arrangements for your evacuation from the country you are visiting back to your native country, state and city. Why would you need medical evacuation insurance? What if Mom has a certain medical condition that suddenly grows worse while she's traveling? What if she needs to be hospitalized, but the hospital in the country she's visiting is unable to provide the services that she needs? In such cases, it's good to know that Mom can get home, and that the costs of her transportation will be covered. That's one less worry for not only Mom, but also her loved ones. An evacuation insurance plan may offer up to $500,000 to help cover the costs of an evacuation from another country. With most travel medical insurance plans, the plan holder determines deductibles and other considerations. Let's say Mom is active and enjoys sailing, skiing, or yes, even para-sailing. If Mom gets hurt, medical evacuation insurance helps to pay for private air ambulance, or ambulance or helicopter transport for immediate care. The medical evacuation insurance plan may also set aside a block of seats on commercial airlines for her transportation, along with an attendant that will accompany her back to her home country. Your domestic insurance plans, which include most PPO's and HMO's, do not offer medical evacuation. Medicare doesn't cover you outside the United States. This leaves the cost of such medical evacuation to not only Mom, but also other family members when it comes time to pay the bill. Stories abound of travelers getting hurt in other countries and having to pay out of their own pocket to return home for medical treatment. For example, a news story reported that an avid sportsman on a safari in Africa experienced a rather severe injury to his back. Because he didn't have evacuation insurance, he received a bill of nearly $123,000 for just the cost of transportation back to his home. Most evacuation insurance plans or international travel insurance allow you to choose plans based on your trip length, whether you're traveling inside or outside a home country, and may offer additional hazardous activity coverage for those individuals who engage in more active sporting endeavors. Some evacuation plans are designed for certain types of activities such as scuba diving, skiing, or even climbing Mount Everest. Cost of medical evacuation insurance is affordable, with premiums often starting at less than $40 a month. Policies can be designed on length of planned stay including anything from a two-week vacation to an around-the-world journey that lasts several years. 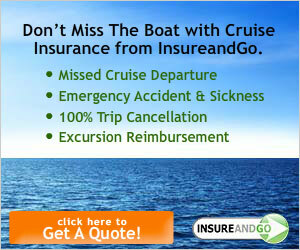 Customized evacuation insurance is also offered in many travel insurance policies designed for group travelers. Individuals can purchase individual plans, or family coverage as well as group coverage. Don't leave your safety to chance, and don't let Mom do that either. While no one expects an accident or an emergency to occur while Mom is on vacation, expect the unexpected and plan for the worst, just in case. Don't spend tens of thousands of dollars getting back home when you can pay a very small premium while you're gone to provide you with the protection, security, and care that you may need, at home or abroad.